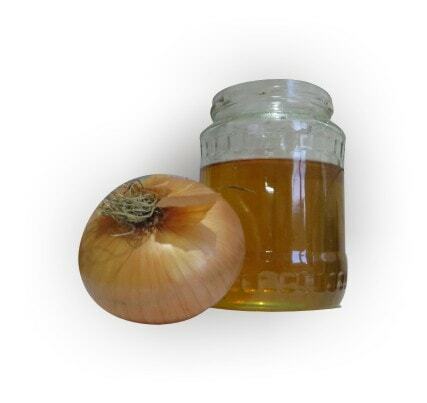 Combining onion and honey we get a natural remedy for bacterial infection. Have you heard this sentence before? Probably not, because science has merely started to study our old folk remedies. They now rediscover the way we should combine food to get the maximum health benefits. I have recently read a page on how an incredible marathoner, with the healthiest lifestyle possible, got diabetes. That type of diabetes that only gets worse, no matter what pills, shots or food someone can take. A perfectly healthy and happy man in his 40s, with a happy family and 2 little girls. It looks like a god is mocking from up there. The story goes that this man, after trying all possible medication, was only expecting to die, before he found a solution. The solution was offered by vegetables. But, as I was saying, the man had a healthy life already, eating plenty of vegetables! What he finally discovered, was the way these vegetables should be combined for the bestnatural remedy for bacterial infection results. A miraculous recovery followed, and, of course, the doctor that elaborated the combination was banned to spread the info. Nothing surprisingly in that! But the main idea remains. Our cure is in our food. And is the science of eating it that can save us. If we are healthy, than we don’t worry too much. And I think it is a right approach. Our first duty here on Earth is to enjoy life. With all its pleasures. But we are currently living into a food paranoia. Almost. 🙂 I see people dividing into extremely not-caring people, that eat a lot, no matter how healthy it is or not. And extremely obsessed people that spend a lot of money of only organic sophisticated and rare food. And the middle people tend to disappear. And that’s bad! In my opinion, if we are healthy, we should only eat balanced. If we are sick, we should pay attention to our diet. If we are seriously ill, than we should revise our entire life, lifestyle, actions, thoughts and character. Not only our diet. The study was published by Life Science Journal, in 2012, entitled “Antimicrobial Activity of Onion Juice (Allium cepa), Honey, And Onion-Honey Mixture on Some Sensitive and Multi-Resistant Microorganisms”. It was done by Saad B. AL Masaudi and Mona O. AlBureikan, Department of Biology, Faculty of Science, King Abdulaziz University, Jeddah, Saudi Arabia. The study is available to public read here. The conclusion? While each of them have incredible heath benefits, combining these two we get the best results. Honey source and type: Black Forest honey (Langaneza honey), from Germany. 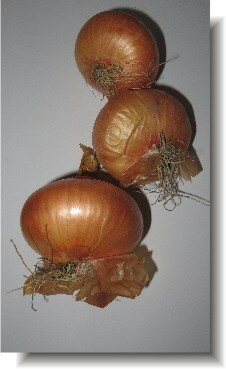 Onion source and type: Egyptian red onion (Allium cepa). Fresh Allium cepa bulbs were rinsed thoroughly in distilled water and air dried; 200 grams were then blended. The resulting paste was allowed to stand for 24 hours. The juice was then filtrated and squeezed out of it. It was stored bellow 4°C. So, what is it known about onion and honey alone? Onion it is one of the oldest cultivated vegetables in history, with antibacterial and antifungal properties. Onion has antimicrobial effect against tested microbes, because it is a rich source of flavonoids, polyphenols, organic sulfur, saponins and many other secondary metabolites, which are mainly responsible for its medicinal activities. Honey, has also antimicrobial effect against tested microbes because it is known to contain phenol, fatty acids, lipids, amylases, ascorbic acid, peroxidases and fructose, has high osmotic potential and a low pH. Both of them have excellent nutritional values, and their intake brings additional enhancer of immunity in aid to the treatments of bacterial infections. These nutritional elements (either in onion or in honey) can act alone or synergistically, and may contribute significantly to the antibacterial activity of the mixture, resulting in higher growth reduction, and enhancing the microorganisms killing activity. Honey in combination with onion may prolong or improve the shelf life of each other. Onion juice alone: at concentrations of 100%, 50%, 20% and 10% has a very strong effect on the growth of all tested species of microbes comparing with control and Staphylococcus aureus was the most sensitive microbe. Honey alone, at 100%, 50%, 20% and 10% concentration has a very strong effect on the growth of all species of microbes, but significantly less than the effect of onion juice. Onion- honey mixture 1:1, with different concentrations, demonstrated a very noticeable effect on all species of examined microbes. Results also showed that the honey-onion mixture was significantly more effective, had stronger effect on microorganisms, comparing with onion or honey alone. In large amounts some side-effects are possible. For most people taking large amounts of onion by mouth, are considered possibly safe. Nutritionists say that taking up to a maximum of 35 mg of the onion ingredient “diphenylamine” per day for several months seems to be safe. Yet, people with diabetes (it might lower blood sugar), bleeding disorders (onion might slow blood clotting), pregnant or breast-feeding women, as well as people undergoing surgery should not take large amounts of onion. Larger than usual food amounts. If you have any of the above conditions, do not take large amounts of onion with your medication as it may interfere with it. In addition, if you are taking lithium, taking onion might decrease how well the body gets rid of lithium, as onion has a diuretic effect. This could increase how much lithium is in the body and result in serious side effects. 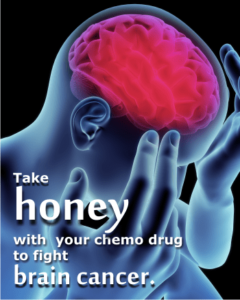 Talk with your healthcare provider before using this product if you are taking lithium. The dose might need to be changed. The combination of two or more antibacterial agents is more effective than the agents alone. The scientists’ team proved that the previous studies of other scientists were right: combination works better than the agents alone. In addition, they proved that the antibacterial activity of the mixture onion honey, 1:1 ratio, has higher values than it would have had with separate elements. Honey mixed with an antibiotic has the best killing effect within half an hour of exposure to bacteria, than either an antibiotic or honey used alone. Combination of honey and gentamicin had stronger antimicrobial effect than honey alone or gentamicin alone. (as demonstrated by Al-Jabri et al. in 2005); Synergy is also known to exist between penicillin and streptomycin and between sulphamethoxazole and trimethoprim. Other studies, have also demonstrated the powerful effect of some other combinations of honey and a natural agent, like with cinnamon, coffee, black radish, seabuckthorn, black seeds or lemon. Take your medicine with honey. It will enhance its power! 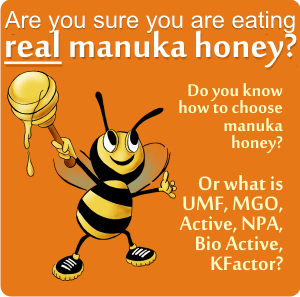 • Is Manuka Honey safe to eat? Seabuckthorn and honey or how to boost immune system naturally! 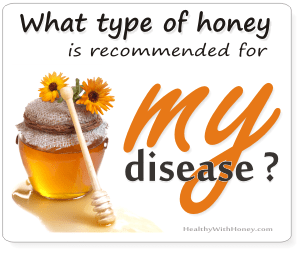 Ikaria honey or What is the secret for a long life? hi how do you make the onion and honey mixture,how long does it last for and how much must you take in a day and for how long? We always make this mixture in winter, when we are getting colds and cough. I cut a big onion (julienne) and cover it with honey. I never wait 24 hours (though it is probably the best) only like 2 hours and then start eating 2 tablespoons of juice 3 or 4 times per day for a week (or 2 if the cough hasn’t gone). I don’t filtrate the onion, just let it stay in the bowl during the whole day and take the juice with a spoon. I keep the mixture at room temperature – it will be finished anyway buy the end of the day. The study I mentioned in the article was done in vitro and they don’t make any recommendations as to how to put this in practice. My personal opinion is that we should simply eat it in order to treat some internal microbial infection we have (see the 8 strains of microbes listed). I’m sure of its good benefit for our health. Maybe not completely eradicate the microbes (but what does that?) but it will definitely decrease their number enough to ease the burden of your immune system and improve your general health. 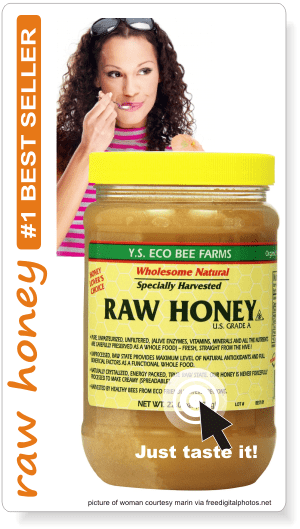 As for the external infections, on our skin, you can try medical grade honey with full trust. Can someone taking onion and honey use any drug at the same time? That’s a very good question. With few exceptions you can take it along any drug. The exceptions are: medications for diabetes, medications that slow blood clotting (Anticoagulant / Antiplatelet drugs) – as it might increase the chances of bruising and bleeding, or medication with lithium. And, of course, if you are allergic to onion, you should not take it. I have updated this article with these interactions, if you want to read more about them. Three years mean a lot of time and I’m sure you have already searched for a cause of if and tried some remedies. The good thing with natural medicine is its minimum side-effects. 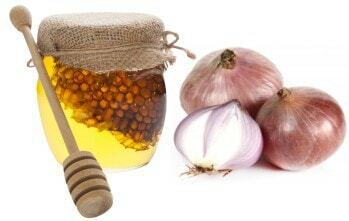 If your boldness is caused by a microbe, onion and honey can help a lot. If not, then nothing bad can happen by using it anyway. You may give it try! Nobody in the world, for any product, can tell you “this is going to cure you 100%.” Science is telling us which are the chances, and from the studies and trials I’ve cited in this article you can see there are good chances to kill the golden staph. You need to start with all the confidence, because these are natural products, they do not have bad side-effects (if you don’t ingest tons of them) and the reviews are promising. If they won’t work, or work temporarily, you need to search what triggered the existence of this staph in your body. I honestly don’t think so. 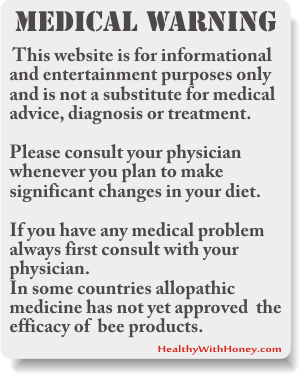 But you can try royal jelly or apilarnil. Please can honey and onions cure internal body heat and in how many day. I’m not a specialist in Oriental Traditional Medicine, but while different types of honey may induce heat or coldness, onion is known to have warm and spicy characteristics. It should be avoided by those who have heat in the lung, liver, intestine and stomach they may suffer from constipation, heartburn, acid reflux, ulcers in the mouth, cold sore, insomnia or vivid dreams, flatulence, sore throat and very yellow thick phlegm. So, the answer is no, you better not try this combination. In regards to the honey, onion ..my 17 year old had a bad cough I immediately chopped up a large cooking onion poured raw un processed honey over the onions, 2 cloves pressed garlic and some lemon juice, mixed it all together , covered and let it sit all night. The next day poured the broth that came about in a tall glass bottle , my son took it 3 X /day and his cough cleared up tremendously..love it. Adding garlic and lemon can only increase its quality. I have inserted some links for those products, inside the article. 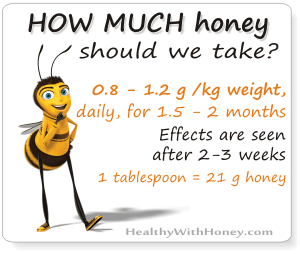 The honey used is forest honey (honeydew honey) and it can be different from forest to forest, which is why I think it’s a good idea to use exactly what they have used in the study. But I believe the red onion is pretty much the same everywhere, no matter the country. Thanks for sharing. I did not all the benefits of honey and onion. Very interesting read. Thanks for sharing this I will be visiting your site often. I am slowly going more natural and organic. Everyday I make or add a change to my diet and lifestyle. I am researching a Candida Cleanse which I did notice that you mentioned onion helps with this. I would love to hear if you know of anything like this or could recommend something. Hi Angela. There is one thing that I recommend with all my heart. And I know it works for real. Colloidal silver. I tried it with my 3 years old, after I gave him 3 antibiotics with no results. He had Salmonella. Then I tried colloidal silver, gave him less then I was adviced to (I was too afraid, of course), and in one month he was free of it. I know it works for Candida, too. Google it and don’t get frightened by that idiot man who took huge quantities of silver all his life, and then complained he turned blue. 🙂 And filled the internet with this.